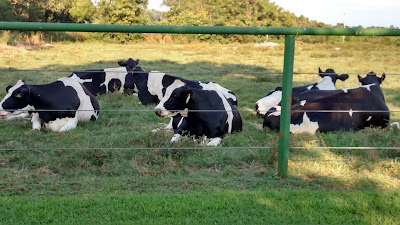 I saw this group of pregnant cows resting in the shade. It was a perfect picture for the word content. and humidity for the first two days of August. provided for the cows and the farmers.